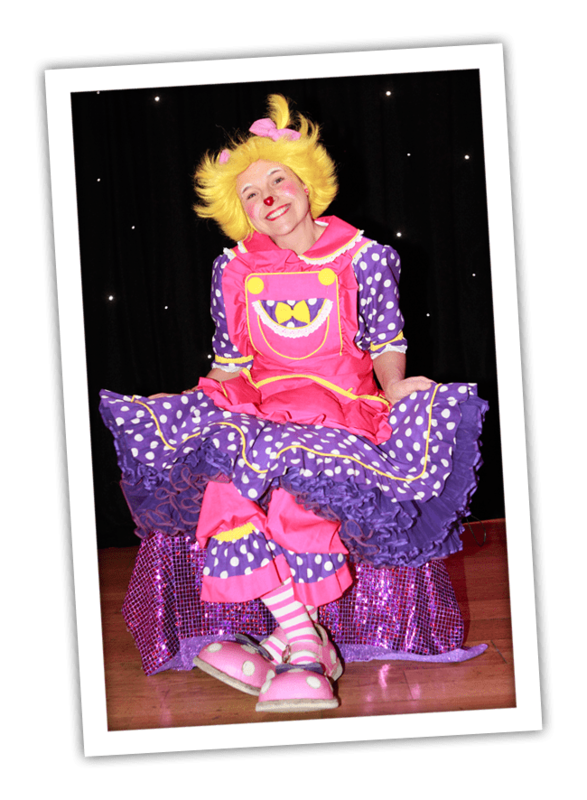 Louby Lou is one of the most popular children’s entertainers in the North West. Over the years she has built up a strong reputation in the entertainment world and is recognised as being able to provide one of the best fun packed clown shows on the circuit which includes party games, comedy, magic, balloon modelling, a puppet show, prizes, audience participation, dancing and guaranteed laughs!!! 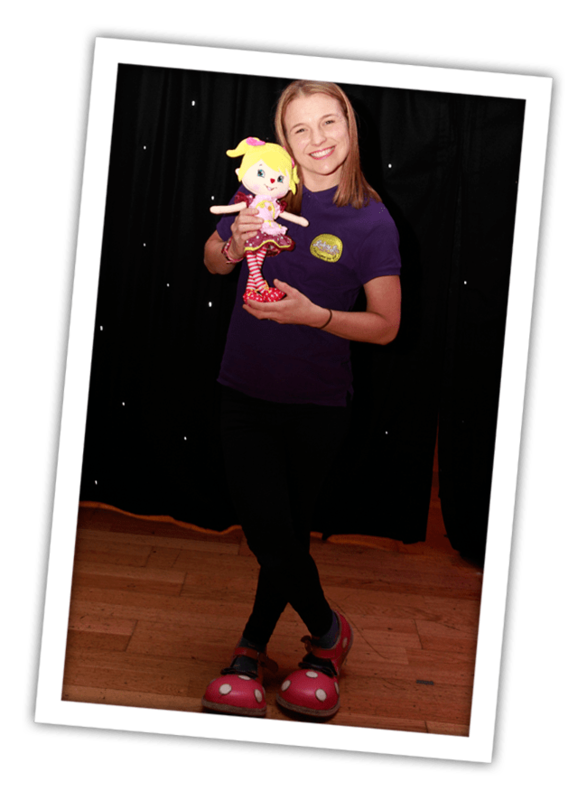 At 18 years old Louby Lou followed in her fathers footsteps and became a full time children’s entertainer. Over the years she has taken her clown show far and wide performing at numerous different events such as birthday parties, weddings, christenings, schools, shopping centres, gala’s and hospitals. In 2005 Louby Lou was invited to 10 Downing Street where she met Cherie Blair who personally thanked her for the fantastic work she does to make the sick children smile at such a difficult time. Louby Lou has also invested in specialist training which allows her to work in children’s hospitals across the North West entertaining sick children and those with special needs. Due to her vast experience and training Louby Lou can cater for all occasions and adapt her style to meet the need of audience and the age of the children. Louby Lou likes to do traditional party games but in her own style. However, there are never any losers as they are all WINNERS!!!! Despite being a busy full time entertainer for the past 18 years Louby Lou has also found time to get married and have three lovely daughters who keep her (big) feet firmly on the ground and up to date with the current topics and music for children. She is a typical woman who loves to spend money on beautiful dresses and amazing shoes!! Give your child a day to remember and book the Louby Lou Clown Show today!!! Her love for the clowning business started when she was just 6 years as she and her sister were the assistants to her father, “Trumble the Clown”. This is where Louby Lou first developed her knowledge and skills in children’s entertainment. This rewarding work has been recognised through media and Louby Lou has appeared on television on a number of occasions (Granada Reports, Manchester Children’s Hospital Programme, 8.15 from Manchester), and featured in a number of magazine articles (Tesco Magazine, MEN, Readers Digest). She has a regular spot at the Trafford Centre and has entertained numerous children belonging to Premiership Footballers.